If you’ve ever had to wear a brace to correct your posture, whether as a precautionary measure or because of a recent accident or injury, you know how inconvenient and at times painful braces can be. There’s also a stigma attached to wearing braces especially if it’s very visible, and this is why a product like Posture Now is truly revolutionary. The Posture Now brace has gained popularity from the moment it was introduced in the market because it’s the only brace in the market today that you don’t have to wear over the shoulders. Instead, you wear it on your arms. Posture Now isn’t designed this way this simply because it wants be cool and different. 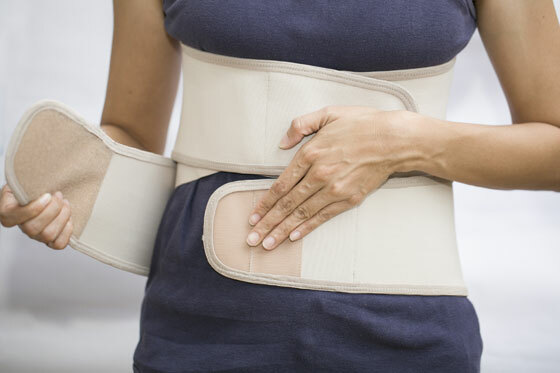 Traditional posture braces can actually worsen your posture because they force the wearer’s shoulders back and over time, this could actually cause the muscles to weaken. These muscles are the ones that are critical for posture, and Posture Now relies on these muscles, strengthening and training them for good posture. Another thing that many people who don’t wear braces don’t realize is that traditional posture braces are actually very painful. When a brace is designed this way, the brace cuts and chafes into the armpit area, which is quite sensitive. Posture Now is made of 2 Neoprane arm bands that you wear individually on both arms. You wear these on the upper arms, so you don’t have to worry about cutting or chafing into the armpit area, unlike with traditional posture braces. Because there’s no contact with the armpit area, you also don’t have to worry about body odor. These arm bands can be worn inside your clothes, so you don’t have to worry about looking like you’re wearing braces. You can go on with your day to day life without looking like a brace is restricting your movements. The 2 arm bands are linked by an elastic tension band, which is stretched on your back. The band creates tension when your shoulders begin to hunch forward, and this is what reminds you (and your muscles) to pull your shoulder back. Basically, this mechanism is what eventually creates muscle memory, subsequently building in you the habit of good posture. Even if your reason for wearing braces is merely preventive and not because you have worrisome back problems, it’s worth noting that good posture really has so many advantages. When you have good posture, you will tend to look taller, thinner, and even more physically attractive. This leads to the psychological effect of feeling younger and so much more confident, influencing your mood (as this article highlights). Not only is good posture advantageous, but bad posture is exactly the opposite. 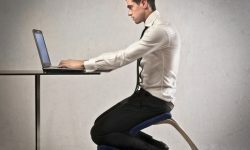 This article says bad posture makes you sad and afraid. Building good posture with Posture Now will be beneficial for you in the long run because it relies on your own muscles and nothing else. 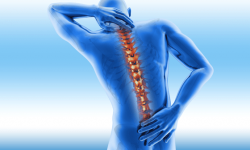 This means that you are really just developing muscle memory and conditioning your body to have good posture. Posture Now has quite a simple design and thus it’s very easy to wear it. The way you wear it is actually the same way you would wear a coat, so these are very natural movements that you don’t have to overthink. Good habits are built over time, and for Posture Now to work, you need to wear it continuously over a long period. Start by wearing it every day for 30 days (or 1 month), for around 10-30 minutes per day. Wear it during your usual activities like walking, cooking, eating, cleaning, reading. You have to build the habit of maintaining good posture while doing the activities that you do daily, and the only way is to use Posture Now while functioning. When you wear the posture brace this often, the habit is slowly but surely developed, and once you hit the 30-day mark you can wear it for shorter periods over time. While the elastic band won’t interfere with normal activities, it’s advisable to avoid wearing it while you’re driving or operating heavy machinery. Other than that, Posture Now shouldn’t restrict your movement and will be useful in building the habit of good posture in you. Because the product really works and relies on your own muscles, there are hardly any cons. 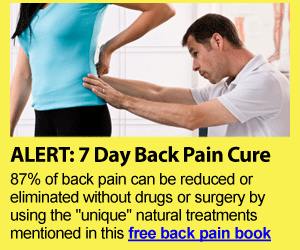 However, if you wear it and begin experiencing pain either while putting on or using it, you should stop using it and send the product back for a full refund. This is because posture problems can range from something that’s just a matter of habit to a condition that’s quite serious. Sometimes, it’s as serious as a spinal or back condition. This is why with any device or product that improves posture, you should always use it under the guidance of a physician. Reading Posture Now reviews will tell you that users are really quite satisfied because unlike traditional braces, this one is very comfortable and easy to wear. Usual braces tend to be clunky and yes, ugly. Posture Now on the other hand is sleek, easily hidden, and more importantly doesn’t restrict any of your movements. Any Posture Now review will also tell you that the product is deceptively simple, but it truly works. You should probably trust something that has been seen on CNN, Lifetime Networks, Fox News, and the Discovery Health Channel. Even when you’re not wearing the product, you become ultra aware of your posture. You also get a money back guarantee that last 30 days, no questions asked. This is important because sometimes, even if a product works for so many others, it’s possible that it won’t work for you. If this happens for one reason or another, then you don’t have to worry because you can always return it.